Dance Junction Hawaii was established in 2005 and has dancers ages 5-18 who perform various styles of dance such as jazz, lyrical, contemporary, pom and funk. Dance Junction Hawaii has travelled to California, Washington, Texas and Japan for competition and has been awarded several national and internationl titles. Here to perform for you are members of Dance Junction Hawaii. 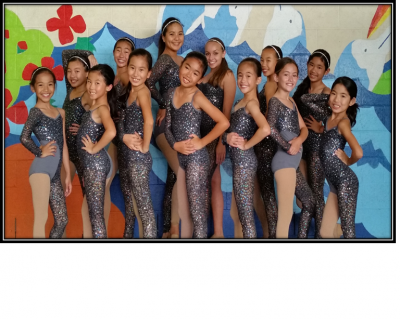 Under the direction of Jill Tanioka-Ventura and Lyndsey Arakawa, these talented dancers, ages 6-18 train in jazz, funk, lyrical and contemporary forms of dance. They perform throughout the island and have also competed in California, Texas and Japan and have been awarded numerous national titles! Next week, Dance Junction will travel to Redondo Beach, California to compete 11 routines at Regionals. 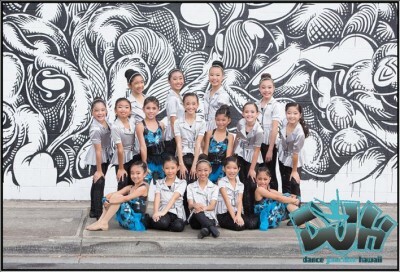 Dance Junction Hawaii is a performance and competition company comprised of dancers ages 5-18. Under the direction of Jill Tanioka-Ventura, Dance Junction performs jazz, lyrical, funk and contemporary forms of dance. Dance Junction has traveled to California, Texas and Washington for competition as well as Japan for International competition. 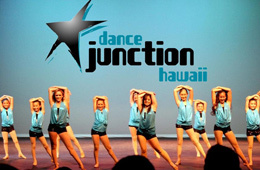 Dance Junction Hawaii is a performance and competition company comprised of dancers ages 4-18. DJH is celebrating it’s 10th season and will travel to Tacoma, WA for regional competition in March where they will compete in jazz, lyrical, contemporary, hip hop and Hula. Dance Junction Hawaii is directed by Jill Tanioka-Ventura and assisted by Lyndsey Arakawa. Dance Junction Hawaii offers dance and gymnastics classes in Honolulu for students ages three through eighteen and also has a competitive dance team. They have travelled to California, Texas and Japan to perform and compete and has been awarded numerous championships since opening in 2005. Under the direction of Jill Tanioka-Ventura and assisted by Lyndsey Arakawa, Dance Junction Hawaii is honored to participate in the Honolulu Festival again this year. Dance Junction Hawaii, under the direction of Jill Tanioka-Ventura, is a competitive dance team and studio opened in 2005. Dance Junction trains in jazz, lyrical, contemporary, and hip hop forms of dance for students ages 4-18. Dance Junction’s team has traveled to California, Texas and Japan to compete nationally and internationally earning numerous awards. Dance Junction Hawaii offers dance and gymnastics classes in Honolulu for students ages four through eighteen and also has a competitive dance team. They have travelled to California, Texas and Japan to perform and compete and has been awarded numerous championships since opening in 2005. Under the direction of Jill Tanioka and assisted by Lyndsey Arakawa, Dance Junction Hawaii is honored to participate in the Honolulu Festival again this year. Dance Junction Hawaii offers classes in jazz, lyrical, contemporary and hip-hop for ages 4 and up. 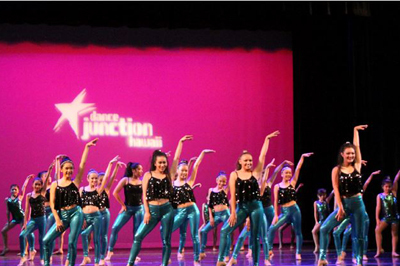 Dance Junction has two competitive teams – the jr company for elementary aged dancer and the sr company for middle school through college aged dancers. Under the direction of Jill Tanioka, Dance Junction has traveled to California, Texas and Japan for competition winning numerous awards for both team and individual routines. Dance Junction Hawaii will feature dancers ages 4-20 in several dance styles including jazz, contemporary, lyrical, poem, hip hop and Hula.